Equine Pharmacology combines highly practical therapeutic guidance with reliable scientific background information to provide a clinically relevant resource. Taking a body systems approach to the subject, the book offers the equine clinician fast access to drug options for a given disease, with additional information available for reference as needed. Logically organized to lead the reader through the clinical decision-making process, Equine Pharmacology is a user-friendly reference for pharmacological information on the horse. The book begins with a general review section presenting the principles of antimicrobials, anesthesia, analgesics, anti-parasitics, foals, fluid therapy, and drug and medication control programs. The remainder of the book is devoted to a body systems approach to therapeutics, allowing the reader to search by affected system or specific disease to find detailed advice on drug therapy. 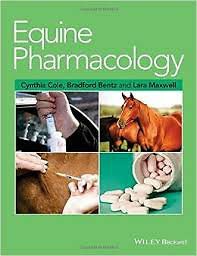 Equine Pharmacology is an invaluable addition to the practice library for any clinician treating equine patients.